1. Stealing the questions from above: How many siblings do you have? Are you rivals or do you support each other in all you do? I am an only child. 2. Have you heard of the Birth Order Book? What are your thoughts on the premise that your birth order affects everything you do in life? I really wouldn't know. 3. Is there something that you still do that drives your siblings crazy? I used to be super close with my cousins, but they live so far away, I don't know what I do that drives them crazy. 6. Tell us something random about your week. I can answers this. My co-workers and I went to our Christian Women conference last Friday. We went out to eat and then to the conference. It was so nice and soul refreshing. We even all got a free book. Then we went to have frozen custard afterwards. This was in Branson, MO...so we stopped and watched the traffic and the ferris wheel as we ate our custard. I got home close to midnight. I had so much fun. This week is HOT! It is suppose to be in the mid 80's Wednesday....but temps falling by Friday to the 40's! Here is a picture of the book I got. 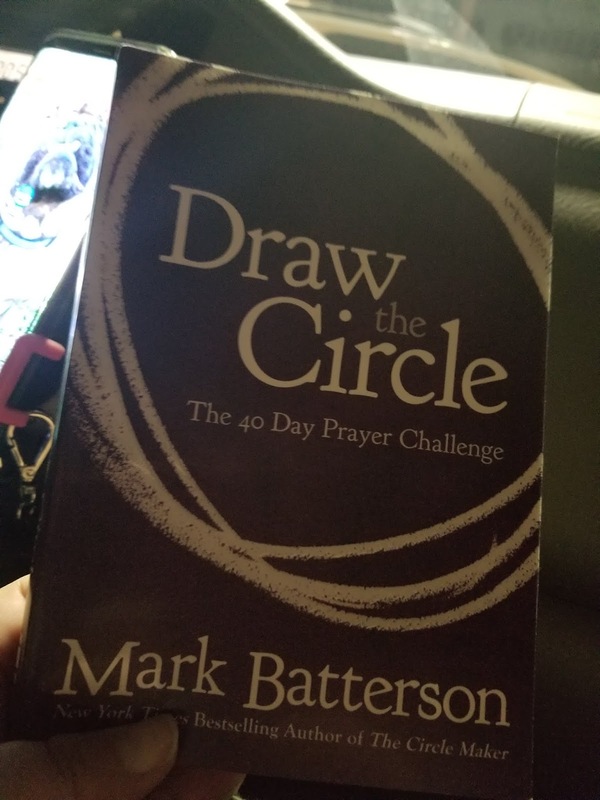 It is a 40 Day Prayer Challenge. It tells you ways in your life to be more prayerful. I am enjoying it. I am on Day 4. I can honestly say there were times I wish I was an only child... the drama I have had to deal with the past is horrific... but so thankful now for the close relationship I have with my brother... the sisters on the other hand... ugh... lets just say its a good thing we don't talk! Glad you had a great time at the womens conference! I think I have that book, it looks so familiar! Have a great Wednesday! Thanks for participating as an only child, Lori! My cousins, when we were young, were like brothers and sisters to me. Your conference sounds like it was wonderful and that prayer book is a great bonus! You have frozen custard? That is very surprising to me. I thought it was a regional thing. Do you know a woman named Susie? We were friends on a perfume discussion chat board. She spoke often of wanting to go to Branson for meetings. Lived in Nevada, Missouri. Pronounced nah-VEY-dah but you probably knew that. Forced to move to Joplin (?) after a tornado destroyed her town. The board folded and I lost track of her. No, I do not know Susie. I have been to Nevada when I was in college in Joplin...but I am not that close to that area anymore. Oh yes, tornadoes are awful here. Yes, we have frozen custard all around this area and I know they have it in St. Louis too. I LOVE it. As for driving one crazy it would be easier to ask...what does your siblings do that drives you crazy. Yay, a free book! Our weather was crazy here this week. It was hot one day, and snowed the next. Everyone was like, "Wait, what's going on?" Good times.